The goal of Foundation HOPE worldwide Bolivia (FHwwB) is to bring hope and change the lives of Bolivia’s most impoverished populations who lack access to quality healthcare, adequate nutrition, safe living environments and/or educational support. Our dedicated staff and volunteers work collaboratively with other service organizations to connect resources to needs, support, and empower these vulnerable families and children through various initiatives in health and social programs. 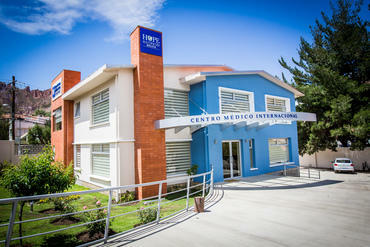 Centro Médico Internacional HOPE (CMI HOPE) provides high quality healthcare and medical training for local physicians and nurses in La Paz. CMI staff members are also developing ongoing healthcare initiatives in rural communities. The CMI HOPE Clinic serves as an innovative social enterprise - 100% of the Clinic’s profits are to support the social programs. HOPE’s "B-Olivia" Library is lending high quality reading material throughout La Paz and rural communities. Promotes Early Child and Healthy Family Development educational initiatives within in the community, including orphanages, public schools and educational centers. The Sala de Juegos within Hospital Arco Iris annually provides thousands of children and families with positive, holistic, health and hygiene education. Offering English as a Second Language classes (ESL) through the community. Programs provide ongoing connection of vital resources to various needs of impoverished families. Mobilizing international and local volunteers each year to use their talents and skills to serve.